Midvale, UT—The women of the testing industry came together last week to raise funds for The Women’s Resource Center, an Orlando organization that supports women and families during times of crisis and transition. 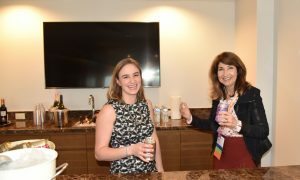 The Women in Testing Reception, Caveon’s annual ATP conference kickoff event, was held on Sunday, March 17 and helped to raise $1,960 in individual and Caveon-matched contributions for The Women’s Resource Center in Orlando. The Women’s Resource Center is a 501(c)(3), non-profit organization that provides a variety of services for women in periods of crisis or transition, empowering them to build better lives for themselves and their families. Jamie Mulkey, Vice President of Sales Enablement at Caveon, leads the charge in organizing the reception. 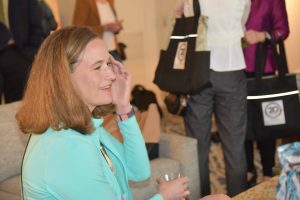 Many women who attend the conference also attend the reception year after year. 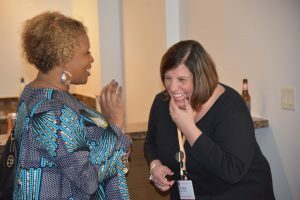 “It was wonderful to be hosted by and among so many strong, intelligent women, and have the opportunity to make valuable connections in the industry,” said Audry Hite, Manager of Product Development at Ascend Learning. The event illustrated the support within the testing industry for those who are less fortunate. This annual reception is a place to gather, connect, and lift up those in need.